Say goodbye to Christmas Saturday with some singing, dancing and plundering of the Christmas tree at the Scandanavian Club. Start off the weekend by connecting mind and body at a free Qigong class at Sabita Holistic Center, 3519 Post Road, at 10:30 a.m. Saturday. The self-care practice from China incorporates movement, breathing, meditation and self-massage. Call 203-254-2633 or visit www.sabitaholisticcenter.com for more information. Did you know Saturday is the twentieth day after Christmas? 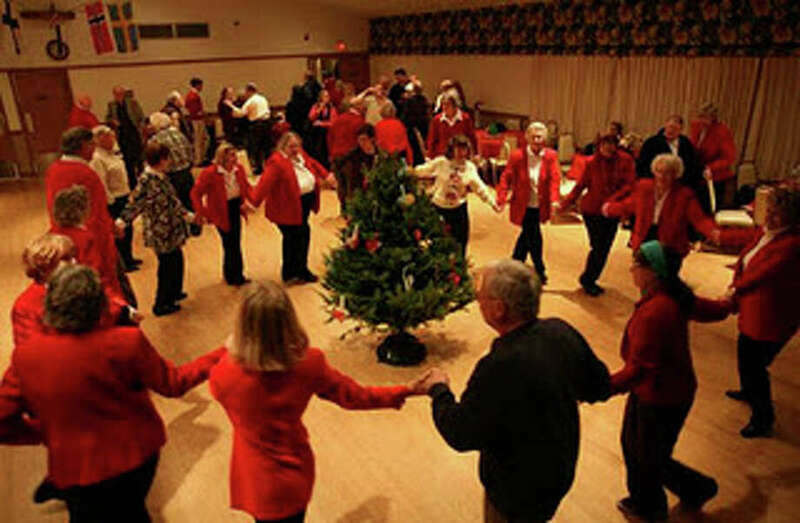 You can mark the occasion at the Scandinavian Club's annual celebration at the club, 1351 South Pine Creek, at 5 p.m. Sing and dance around the Christmas tree to live Swedish accordion music before the tree is "plundered" and thrown out. There will be refreshments and a raffle. Tickets are $7 at the door, free for those under 12. Call 203-259-1571 or visit www.thescandinavianclub.com for more information. When you finish throwing out the Christmas tree you can go walking in Memphis with singer Marc Cohn at the Fairfield Theatre Co., 70 Sanford St. Show times are 7:30 and 10 p.m., and tickets cost $67. Visit www.fairfieldtheatre.org or call 203-259-1086 for tickets and information. Do something good Sunday -- donate juice boxes, Jello mix, or jars or jam or jelly to CardSmart, 2480 Black Rock Turnpike, between 9 a.m. and 4 p.m. The donations will be given to a Bridgeport nursery school, Merton House and Operation Hope. For more information, call 203-334-1657. Prepare for those long winters nights by stopping by the Pequot Library's Midwinter Book Sale from noon until 5 p.m. Sunday (the sale actually starts Saturday and runs through Tuesday). There is no admission and at 1 p.m. you can not only pick up some good reads, but also listen to some music by Mark Naftalin and Friends. The library is located at 720 Pequot Ave. Call 203-259-0346 or visit www.pequotlibrary.org for the full book sale schedule and more details.